Dr. Harry Owens Jr., served with us in Nzara South Sudan for three months, and again in the Nuba Mountains of Sudan for three months. He has made it his life’s mission to bring hope, healing, and compassion to those less fortunate. Dr, Harry holds degrees in Biology and Medicine from St. Louis University and a Masters in International Management (MIM) from the Thunderbird Garvin Graduate School on International Management. 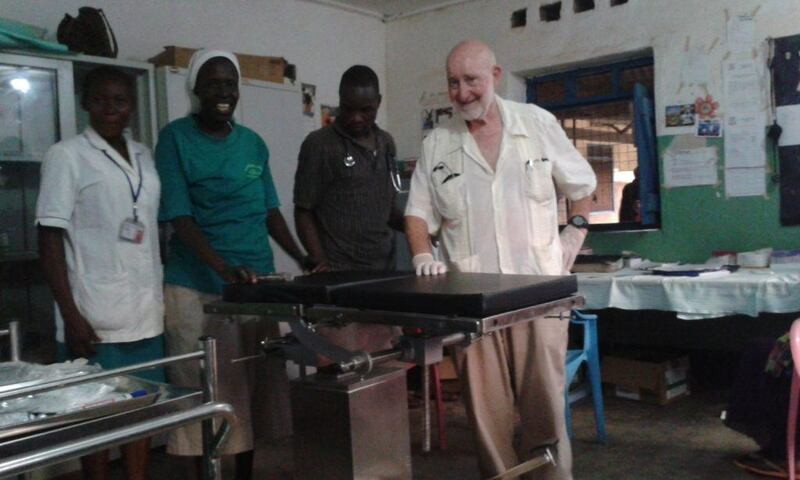 Dr. Harry feels very blessed to have been able to work with the staff, personnel, and patients in Nzara, South Sudan. He fondly remembers the mission of St. Therese Hospital. Today, its focus on compassion still resonates with him deeply. In terms of a favorite memory or moment, for Dr. Harry there were many. During his time in South Sudan, he shared many stories. Some heartbreaking, some joyful, and some shocking. But, they all had one thing in common. They all speak to the importance of the work Dr. Harry and all of our amazing volunteers do for others. Dr. Harry at St. Therese Hospital in South Sudan. However, one moment in particular does come to mind for Dr. Harry. Back in January of 2017, Dr. Harry shared with us the story of a young girl named Nathalia. One day at the hospital, Nathalia was brought in by her father. She had a fever of 104 degrees. Dr. Harry remembers clearly her father, looking at him and asking- “Doctor, is my child going to die.” In that moment, Dr. Harry could not tell this man if his child was going to survive. He just did not know. Nathalia, was extremely sick – she was suffering from both malaria and pneumonia. Luckily, this story was one of the happy ones. Dr. Harry and his team were able to support Nathalia with the right medical care. While her recovery had her up’s and down’s she was eventually able to return home and return to a normal life. This success story is one that sticks with Dr. Harry. However, it also reminds him that there are children out in the world who are not as lucky as Nathalia. 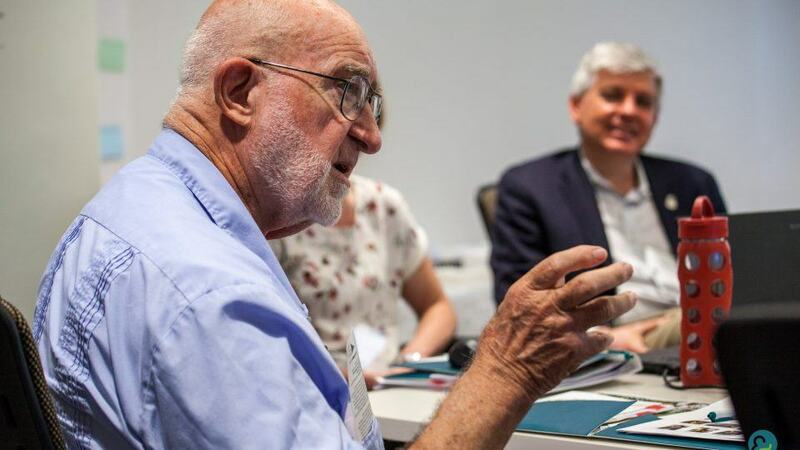 This story, while a happy one, drives Dr. Harry to continue the work that he does. In September of 2017, in the aftermath of Hurricane Harvey, Dr. Harry volunteered with Project HOPE in Houston, TX helping to set-up and staff emergency mobile clinics in some of the most devastated areas of Houston. 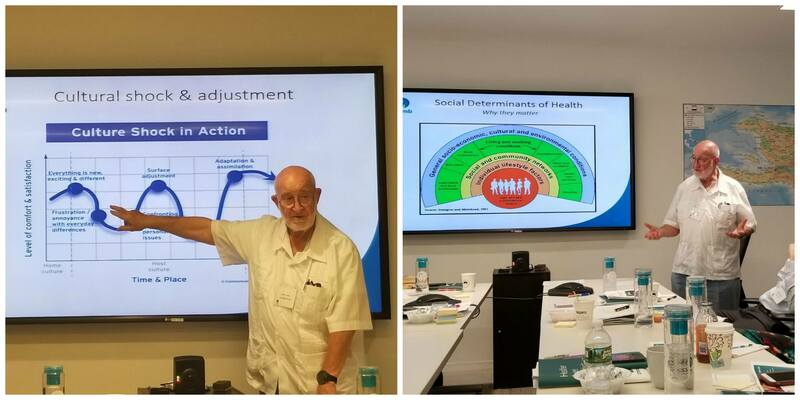 In July of 2018, we were happy to welcome Dr. Harry back as a guest speaker during our Volunteer Orientation! 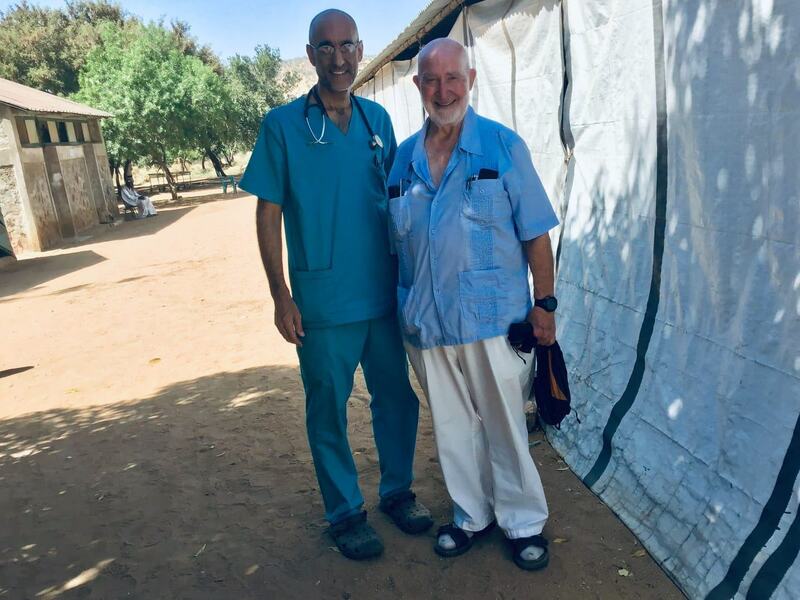 When October came around, we were lucky enough to have him back with us a volunteer, this time in Sudan (taking over for Dr. Tom) for three months! You can learn more about his experience at the Mother of Mercy Hospital in his most recent reflection. By now you have noticed that Dr. Harry is not one for staying put. Today, he is preparing to embark on yet another volunteer experience. In response to the devastation brought by Cyclone Idai just this past March, Dr. Harry will be volunteering in Mozambique, providing medical relief to victims. Dr. Harry, you inspire us every day. Thank you for being part of our CMMB family. As Dr. Harry prepares to serve survivors of Cyclone Idai, CMMB is supporting our partners on the ground through the provision of life-saving medicines and immediate care.